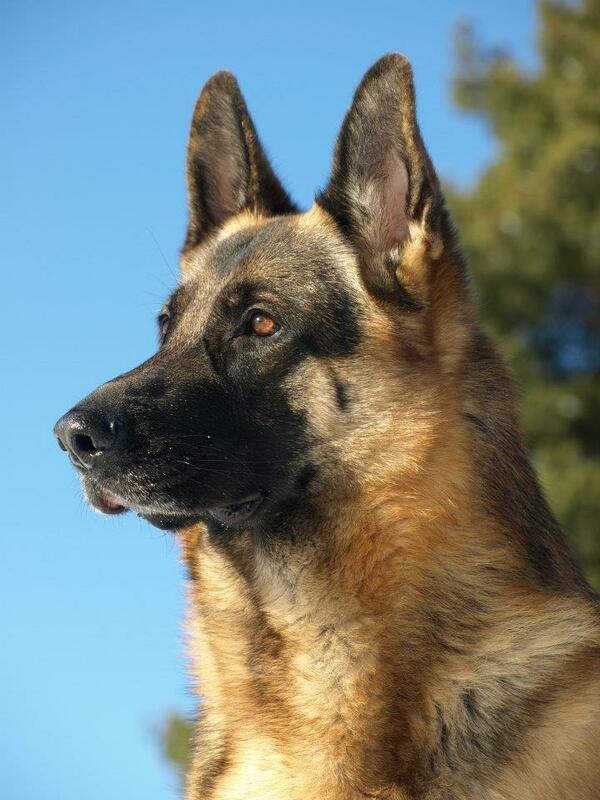 Kinder German shepherd, we have never had and he is the most good-looking one! One minute he lies and cuddling on the couch and cuddling with our grandchildren, the other second he works hard in the woods. Moritz really shows that you can combine mentality and exterior! Moritz finished Patrol dog and is quickly becoming a favorite among the soldiers. 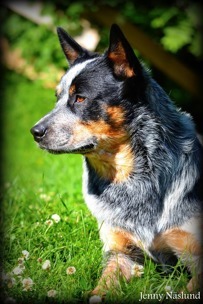 He is competing in obedience class II and lower class track and search. Multi CH Nordic W -12 TJH (FM) RLD N RLD F Working Mates Another Dewil "Junior"
MH yes. (youth mental ability report) Not gun shy. Hi is patroldog an Multi Show champion. Hopefully he goes in his father's footsteps. He has the same excellent track capabilities as Dewi. He is a gentleman with a lot of willingness to work. 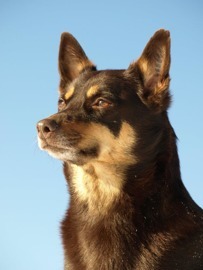 Lisa is very willing to please and goes perfectly to obedience, tracks and search. She has very good herding characteristics. Lisa is like most other kelpie incredibly social and keeps asking until all said hello to her. In show she has 1 CAC. She moved up to Higher Class Search, Class III in obedience. Also she practice in tracking.